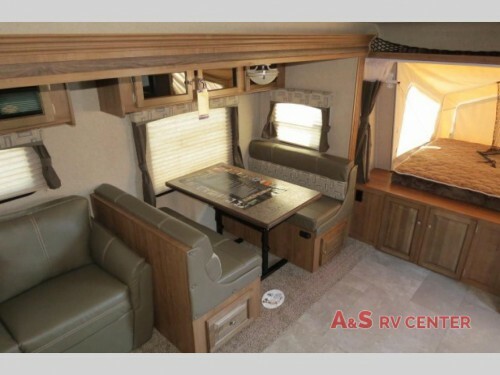 The Forest River Flagstaff RVs for sale here at A & S RV Center are some of the most popular camper floorplans on the market because of the wide range of features that help you find exactly what you want. With options of fifth wheels, travel trailers, and expandables, locating the size and style that your family needs will be easy. Let’s check out the floorplans available and see what each has to offer. Get the perfect RV for your family with our selection of Forest River Flagstaff RVs! 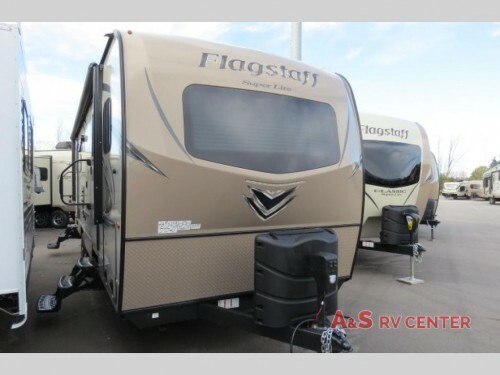 The Flagstaff Classic Super Lite comes in both fifth wheels and travel trailer, and each floorplan is built with lightweight luxury in mind. With options of up to four slides and sleeping space for up to nine, bring your family along for the ride, and enjoy long and short trips with the washer and dryer prep, fireplace, king master bed, and La-Z-Boy furniture! 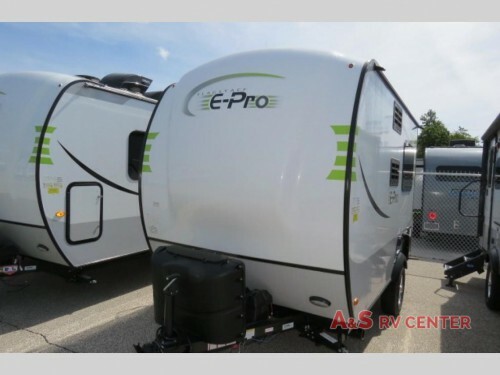 For the more environmentally conscious camper, you will love the Flagstaff E-Pro travel trailers. This extremely lightweight RV is built to be towed by the more fuel efficient crossover or small SUV. And with an optional Pro Rac mounting bar, you can enjoy the perfect couple’s getaway and easily bring along your kayak or bikes. Take a look at the super lightweight Flagstaff E-Pro for the ideal couple’s getaway. The Flagstaff Micro Lite travel trailers are the perfect blend of comfort and convenience. Each of the 14 floorplans will be compact in size while still having more than enough features like an LCD TV, built-in Murphy Bed, and convenient countertop extensions. Plus, with optional add-ons like stainless steel appliances and luxury theater seating, you can truly make this RV what you want. The Flagstaff Shamrock expandable is made to be easily transported and still feature room for famillies. With up to three expandable sections and up to two slides, you can sleep up to nine people and still have a full bathroom, kitchen, and more! Choose from fifth wheels, travel trailers, and expandables! Last, but not least, take a look at the Flagstaff Super Lite travel trailers and fifth wheels. With more standard features like the WiFi Ranger WiFi Booster, outside grill, LED lit power awning, fireplace, and heated theater seats, you can take luxury everywhere for an incredibly affordable price. With a large selecton of Forest River Flagstaff RVs, we can ensure that you camp the way that you want. If you are ready to hit the open road, be sure to contact us or come on by our location today and get in on the incredible savings we offer!